Why should Christmas be the only holiday to get wreaths? 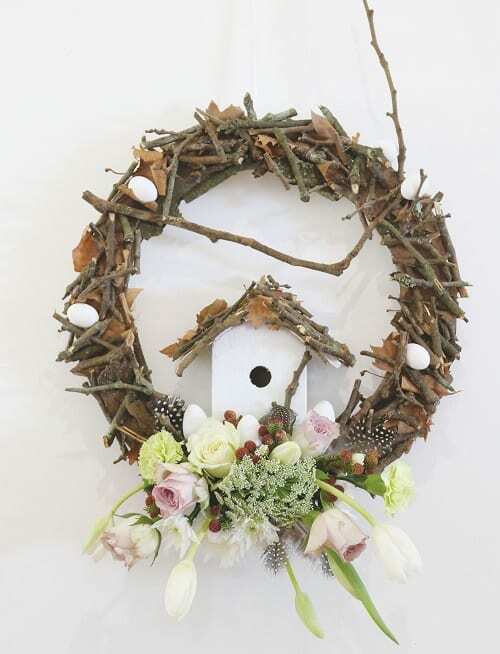 We think Easter deserves them too, and you can use autumn leaves to make this rustic fantasy to welcome everyone to your door. 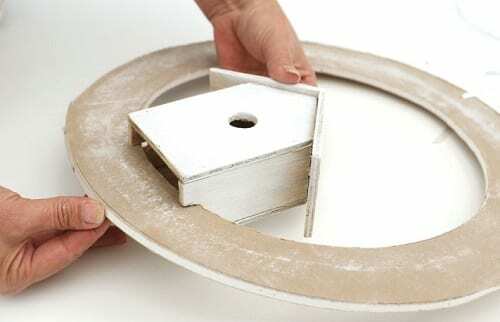 1 Use a Stanley knife to cut a circle out of the Masonite or cardboard to use as a frame. It should have an external diameter of about 350 – 400mm, with walls of about 50mm thick. 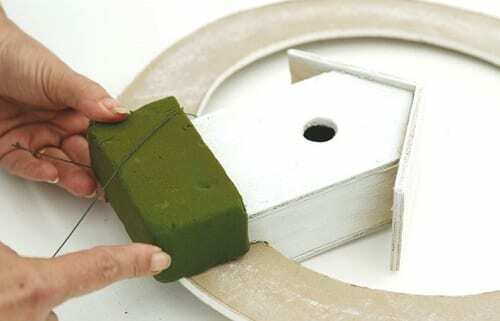 2 Cut pieces for the birdhouse and glue them together – you can also use a premade birdhouse, which are available at certain craft shops. Once the birdhouse is complete, paint it. Cut two slits in the base of the birdhouse so that it fits onto the frame. 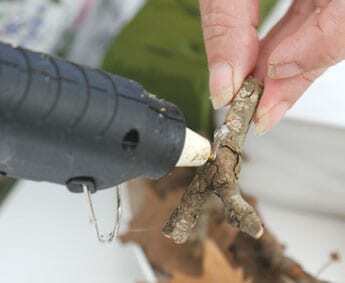 Use glue to keep it in place. 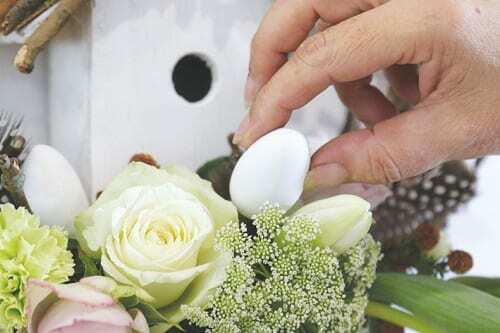 3 Cut a piece of floral foam for the flowers and soak it in water for 30 seconds. Wire it to the frame below the birdhouse. 4 Make a hole in the top of the frame before the next step and thread a long piece of ribbon through it to hang it from. 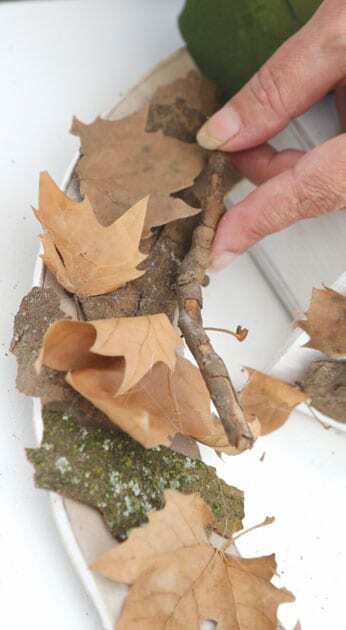 Heat up the glue gun and start gluing leaves and bark to the frame. The idea is to cover the frame so that none of it can be seen once the job is done. Add the little sticks until it looks good. 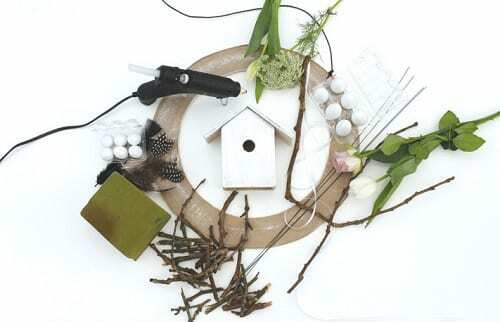 Don’t forget to decorate the roof of the birdhouse as well. 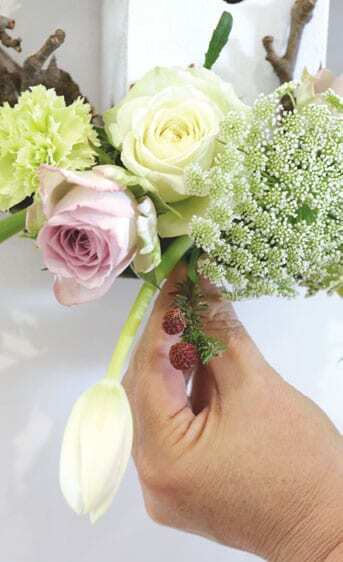 5 Hang the frame on the door and arrange the flowers in the floral foam, covering it completely. Add a few mini chocolate eggs or other decorations and you are done. 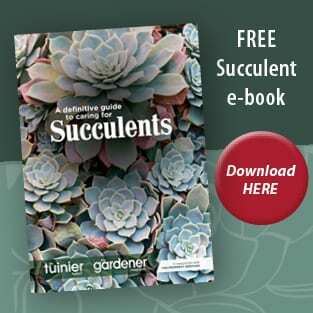 For more, get your April issue of The Gardener!